At this year’s Decanter World Wine Awards, held in early May in London, we have received 1 Silver and 4 Bronze Medals. Our Rose 2015 was awarded with Silver and all the other wines we entered in the competition received Bronze; Xynisteri 2015, Semillon-Sauvignon Blanc 2015, Maratheftiko 2014 and our Lefkada –Shiraz 2014. 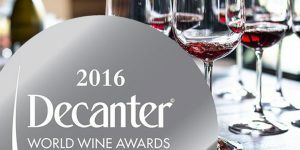 We are happy with our steady results at Decanter over the years and especially satisfied that all our wines entered were awarded, which shows a consistent quality across our range!